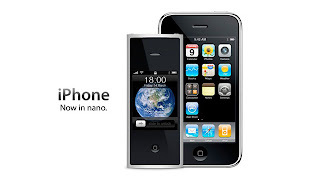 Imagine an iPhone 3GS and an iPod Nano G4 having a baby…tadaa… you’ll get an iPhone Nano. We like it a lot! It has all the same features as an iPhone, but it’s smaller and more compact than an iPhone. On the other hand we can’t ignore that this maybe is something you would give to your girlfriend rather than buy yourself. Real men have to have bulkier equipment so for now we can stick to the iPhone 3GS. When it’s time to switch from aftershave to moisturizer, it’s time for the iPhone Nano.